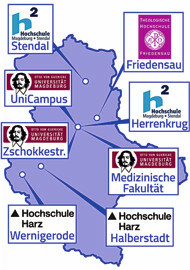 Psychosocial Counselling of the Studentenwerk Magdeburg is open to all university students within the competence of the Studentenwerk. It offers free, non-binding and strictly confidential counselling in stressful situations that may occur during the course of studies. Problems with motivation, the feeling of being overwhelmed, the fear of exams or anxieties about the future, difficulties in relationships with parents or friends and partners cannot always be solved on one’s own or with the help of friends or relatives. One or more individual talks with the counsellor can often provide relief. A common dialogue often helps to gain new perspectives that can foster your own understanding of the problem and provide a route to the strengths and expertise that are sometimes fully or partly hidden. Of course you are also most welcome if you do not even know where the problems lie, and perhaps you just look for someone who can listen to you and help to sort out your thoughts. In addition to individual counselling, group sessions will be held during the semester, if correspondingly required. Psychotherapeutic or psychological counselling by the Studentenwerk is currently offered in Magdeburg, Stendal and Wernigerode. 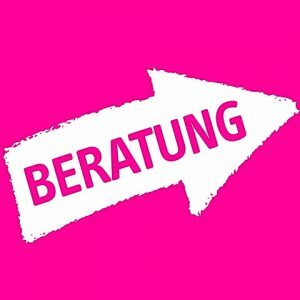 Office hours: Tuesday: 1:00 p.m. – 2:00 p.m., Thursday: 3:00 p.m. – 5:00 p.m.
15:00 – 18:00 Uhr zur Einzelberatung (nach vorheriger E-Mailanmeldung/tel.